This homemade ranch dressing is similar to the bottled one in taste but better as I control what goes in. Ranch dressing is a best-selling salad dressing in the US and Canada. Not many people outside these two countries know about it. My brother when he came on a holiday from the US first introduced us to the sauce. Ranch Dressing is made of buttermilk, salt, garlic, onion, mustard, herbs and spices and is mixed into a sauce based on mayonnaise or another oil emulsion. In case you want a low-fat version, add sour cream and yoghurt. Ranch dressing is commonly used as a dipping sauce for broccoli, carrots and celery. It is a dip too for chips and French fries and chicken wings, fried mushrooms, fried zucchini, fried pickles, jalapeno poppers, onion rings, chicken fingers, and hushpuppies. In addition, ranch dressing is used on pizza, pickles, baked potatoes, wraps, tacos, pretzels, and hamburgers. Making Ranch Dressing is simple and I have copied it from here. The other salads with dressing I have tried in the past are Asian Slaw with Spicy Thai Vinaigrette, Roasted Beetroot Salad with Balsamic Reduction. Salads we love are in this Salad compilation. Whisk the mayonnaise, sour cream, chives, parsley, dill (if using), garlic powder, onion powder, salt and pepper. I served it mixed with a salad. You can serve it as a dip too with fried mushrooms, Fried Zucchini etc. Store the unused dip in an airtight container. I will recommend using it up the next day. Ranch Dressing is a salad dressing as well as delicious a dipping sauce. Use buttermilk in case you want to avoid sour cream. Ranch dressing is delicious in salads , even I first had it in US , but now it is available here too . Homemade version would any day be better than the store bought one . Ranch dressing is something I have been wanting to make it myself. Since some of the ingredients are not easy to come by, I haven’t yet made…yours look so good Arch. Homemade condiments are the best .. Love this ranch dressing.. I need to make it at home sometime soon. looks so creamy and tasty. Ranch dressing would go so well with salads and burgers, nice easy recipe. 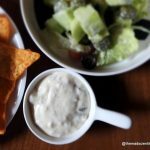 Am in love with this super creamy ranch dressing, have to make some soon, as we love this dressing very much. Classic dressing and a stellar recipe! Thanks for sharing! This is really a handy one. Looks so tasty. Ranch dressing is one of my favorite — love how creamy and herby it is. I always love to make dressing home made.. bookmarking it.. Your version of ranch looks so creamy and delicious. Bookmarked. Heard about this but never attempted to make this at home though! Nice one Archana. A must have for salad lovers. Ranch dressing looks so creamy and delicious. Not only salad it will be perfect with burgers and sandwiches. I would also love to try it as a dip. Superb share. Hi Archana, I always see these readymade bottles here in the mall. But never bought it. Tastes this when was in UAE. Will try to get these ingredients to make,. Simple but tasty recipe. Thank you. True but Greek yoghurt costs a bomb here so this is what I do. Home made dressing tastes so much better than the store bought ones in my opinion. Love Ranch dressing. Fabulous share! I prefer homemade salad dressings. It’s very hard to find good and healthy dressings in stores. This looks delicious. 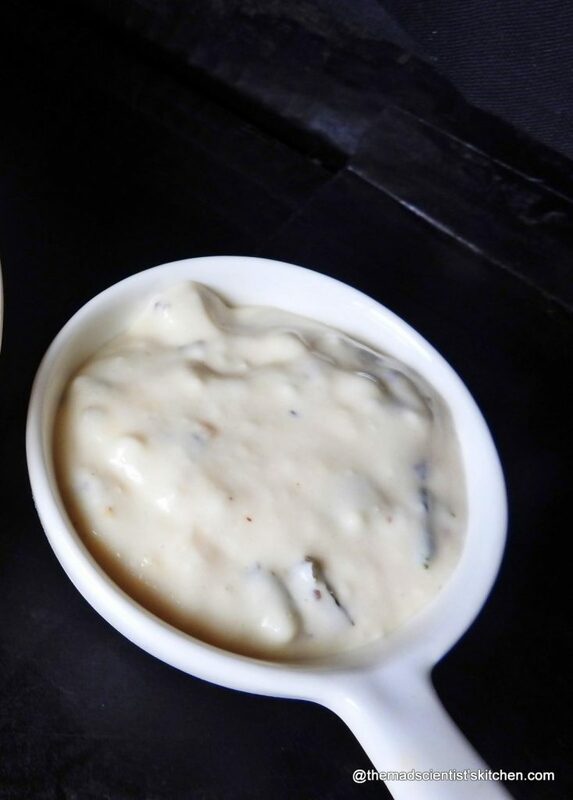 Ranch dressing looks delicious and tempting, homemade stuffs are the best. I love homemade salad dressings and this sounds perfect and delicious ! Always wanted to try it at home. Although I am not sure if I would get half of the ingredients in India???? Lady, I Live in India. Use the dry herbs and go ahead. Try it Rafeeda. Its yummy. Ranch dressing looks so delish !! Superb share ???????? Ranch looks so creamy and bursting with all the amazing flavors. wow your recipe has made the ranch home made now. such a doable recipe and a great hit amongst salad lovers. This sounds so perfect for salads. Should check the availability of ingredients. Please share your pics and method too. Oh wow, keeper recipe. now we are at a phase of subway style sandwiches at home… so this will be handy. I agree Seema was thinking of the subway sandwiches when I made it. Told the girls to get the bread they brought the subs so I made a salad with the dressing. No point in wasting a good sauce is there? Nothing beats the taste and flavour of homemade salad dressings. I absolutely adore anything homemade and this just looks perfect with a nice creamy texture apt to coat a big bowl of veggies or salad leaves. 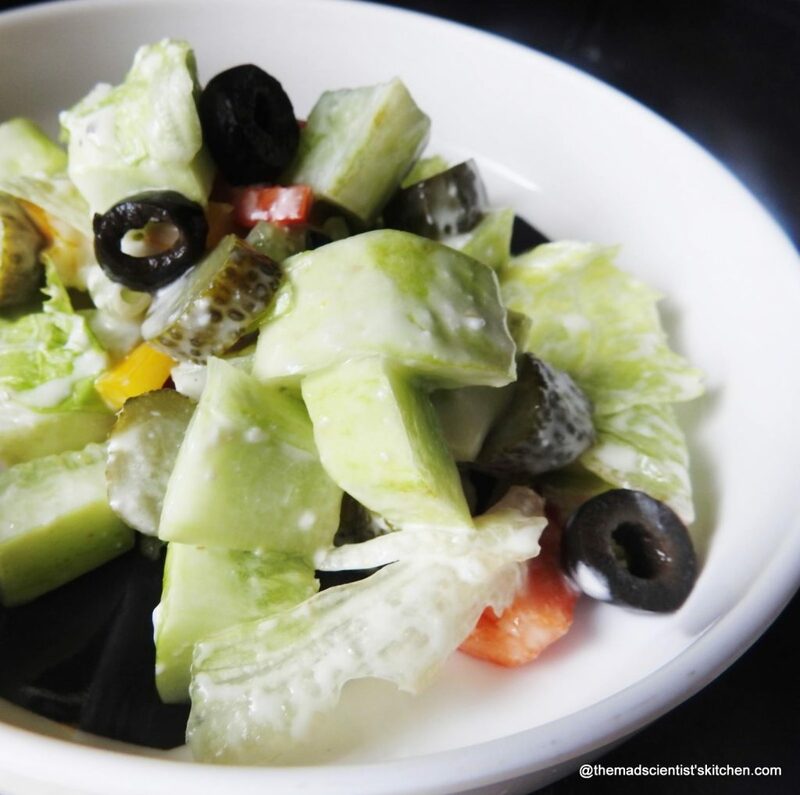 With the summers at its peak, a cool bowl of salad is just what the season demands. Loved the recipe. The best part is it goes well as a dip and not to mention a sandwich sauce too. If there is any left that is. Thanks, Lathiya. Please share the pics and your twist. Ranch dressing my husband introduced to me when we stayed in US. and believe me, I love this dressing. Bookmarking yours will try soon. Thanks for sharing.